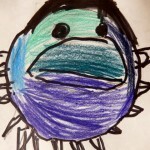 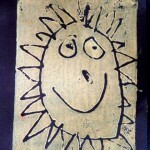 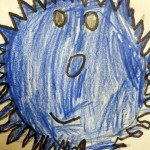 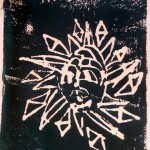 To counter our starry nighttime art, we look now towards the sun in art. 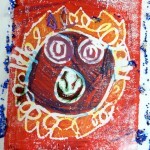 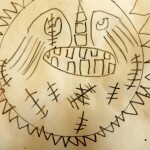 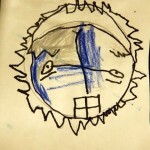 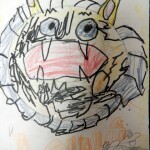 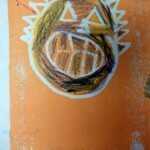 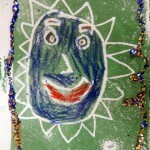 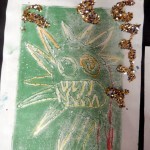 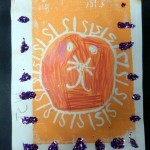 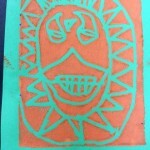 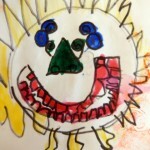 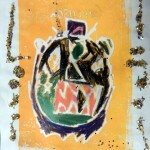 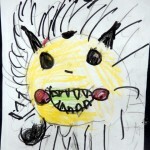 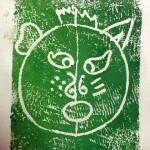 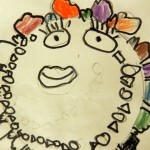 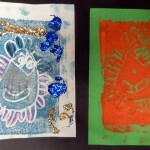 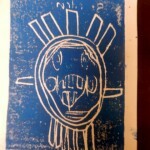 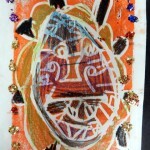 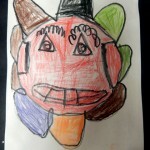 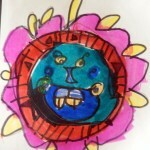 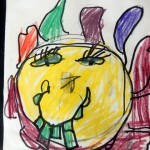 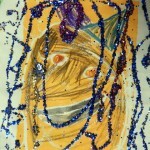 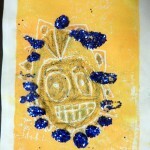 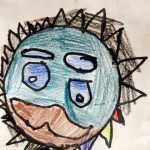 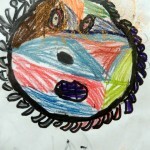 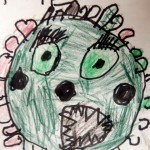 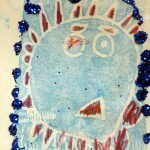 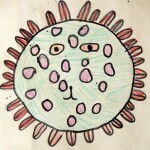 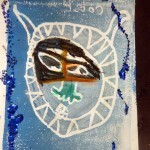 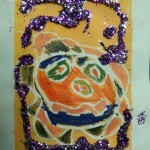 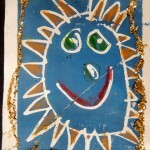 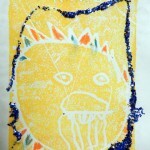 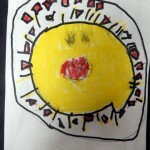 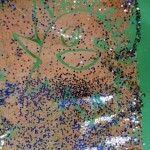 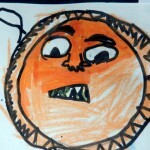 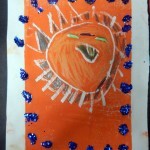 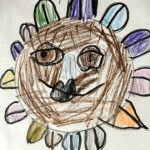 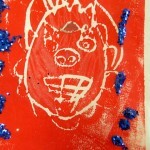 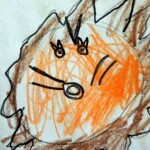 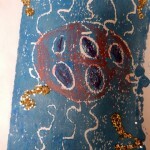 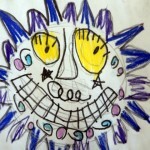 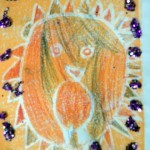 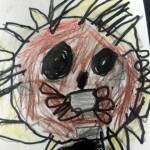 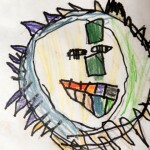 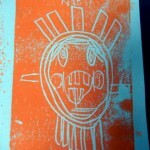 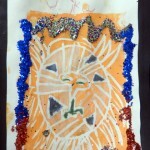 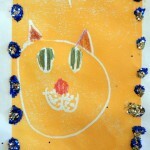 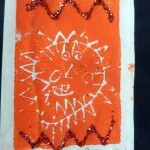 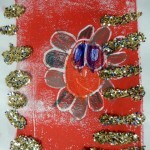 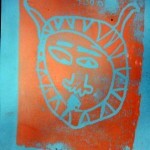 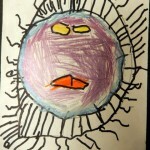 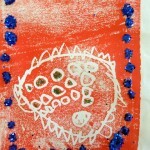 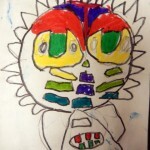 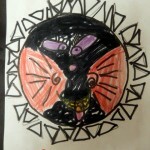 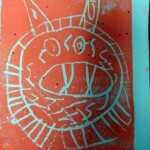 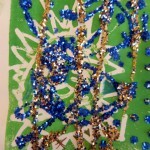 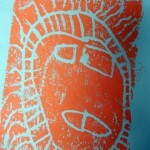 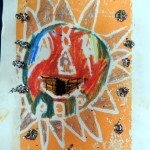 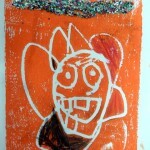 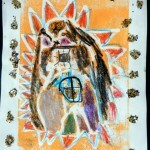 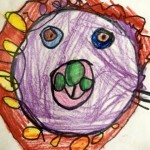 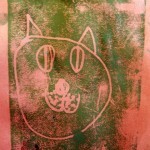 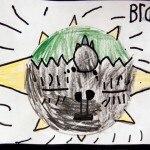 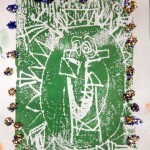 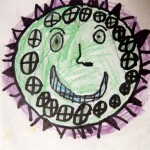 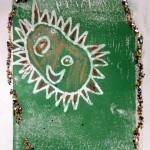 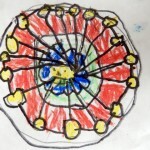 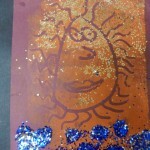 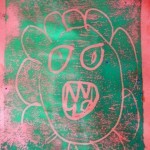 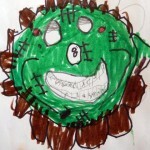 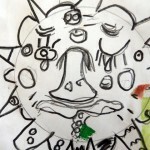 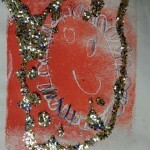 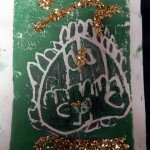 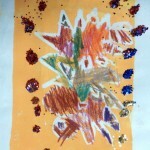 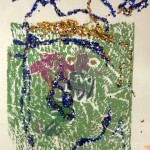 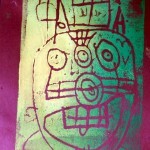 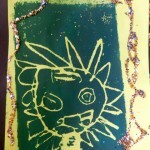 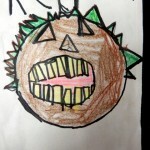 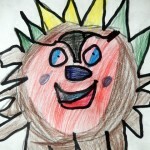 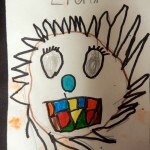 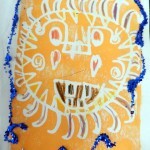 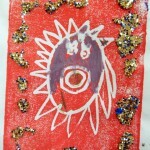 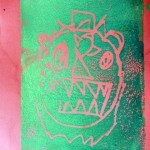 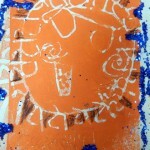 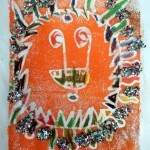 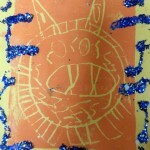 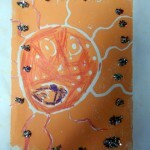 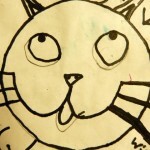 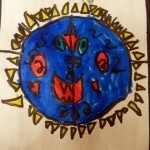 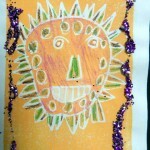 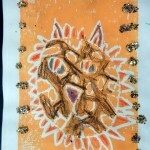 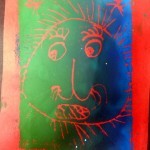 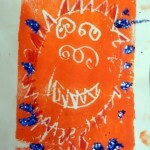 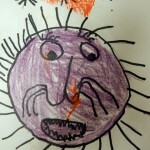 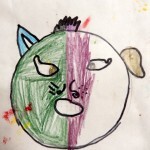 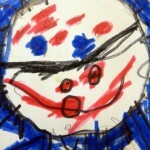 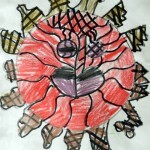 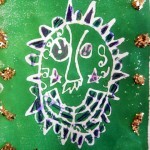 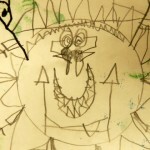 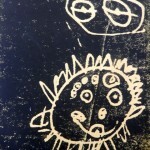 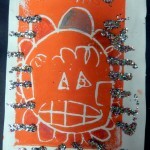 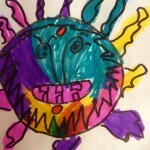 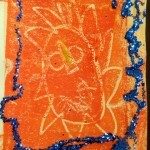 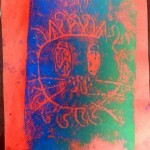 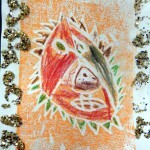 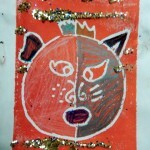 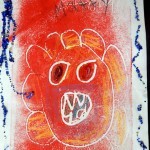 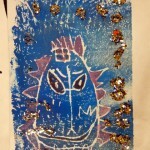 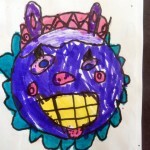 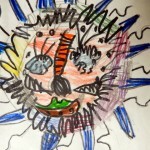 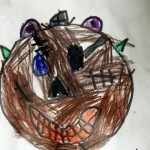 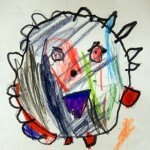 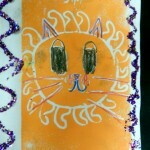 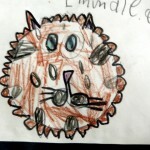 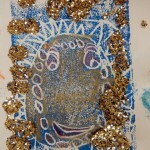 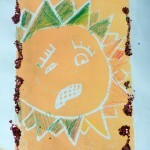 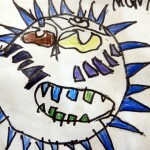 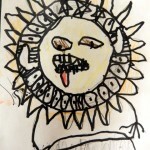 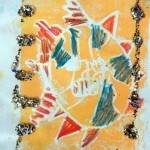 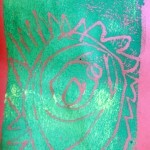 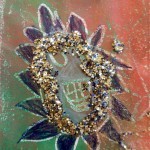 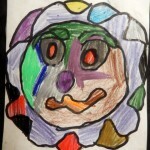 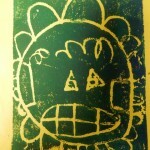 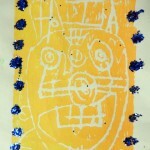 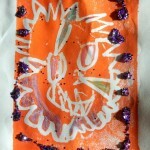 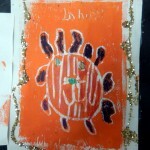 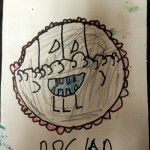 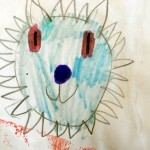 First graders took a cue from the Aztecs, ancient people from Mexico, for this fun project. 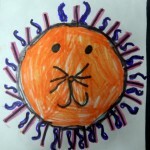 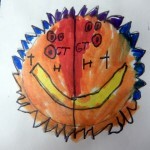 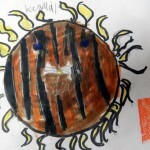 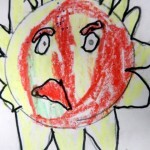 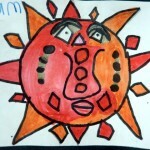 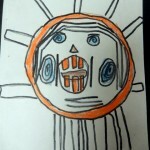 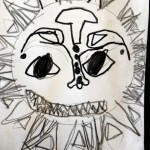 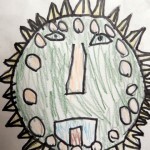 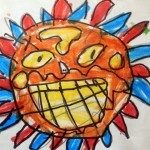 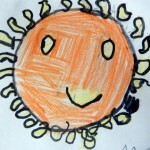 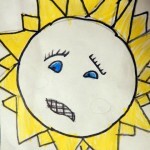 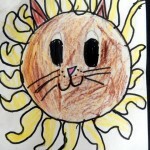 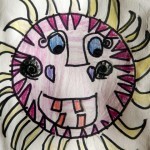 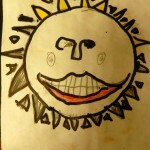 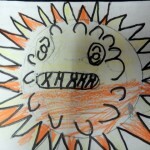 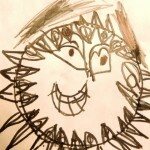 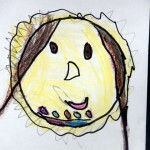 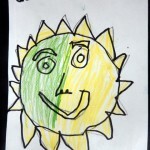 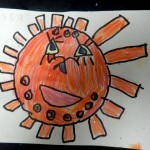 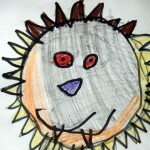 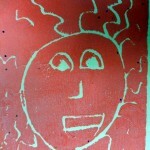 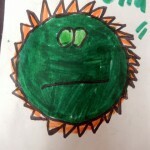 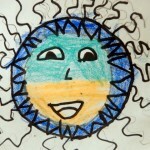 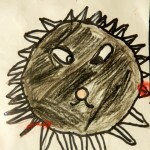 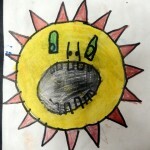 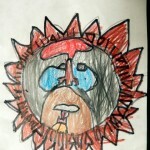 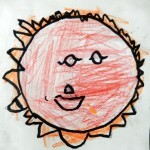 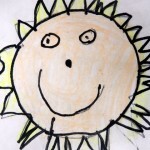 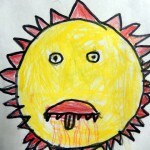 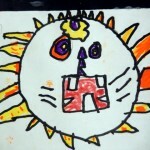 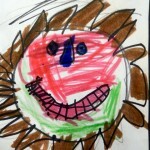 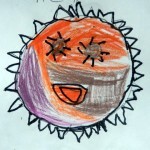 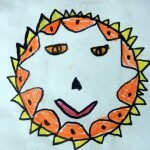 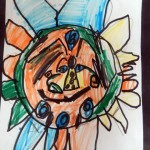 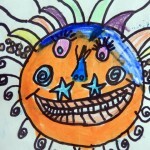 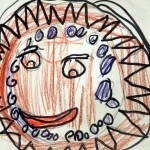 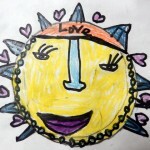 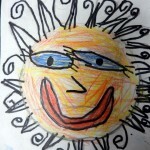 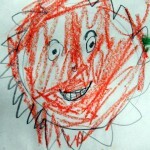 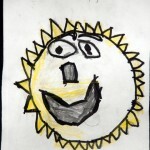 They studied how the Aztecs drew and used the sun, and its importance in their lives. 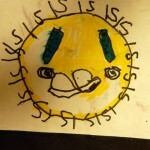 the sun was believed to be the most important thing in the universe, they created an intricate calendar, and had many ceremonies and rituals revolving around the sun. 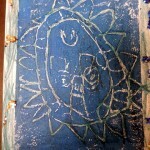 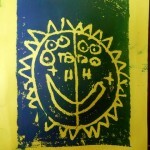 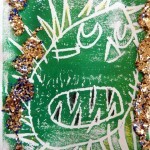 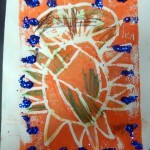 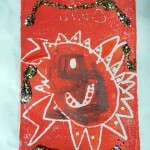 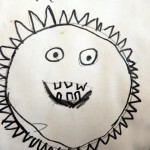 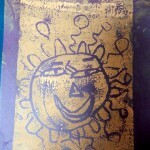 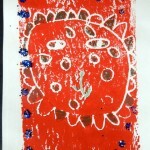 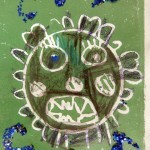 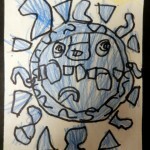 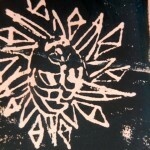 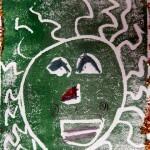 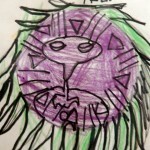 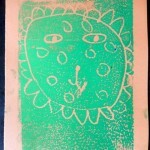 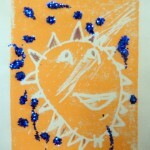 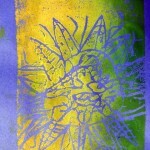 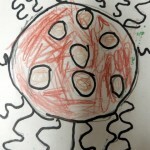 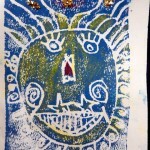 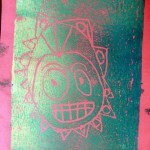 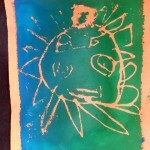 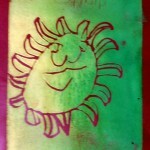 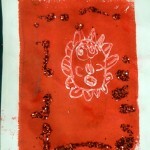 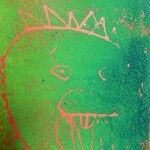 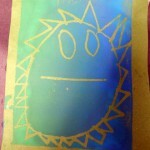 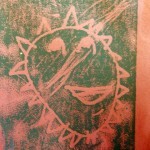 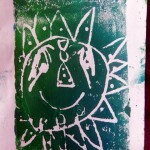 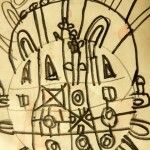 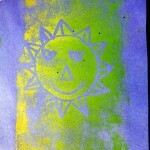 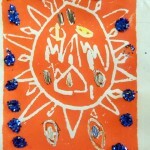 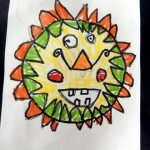 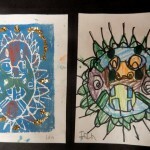 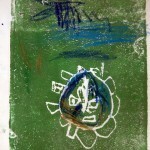 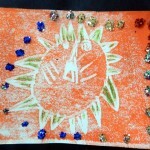 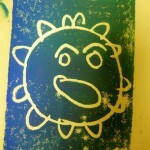 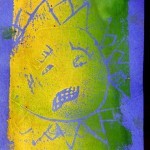 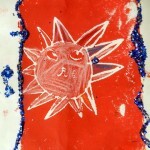 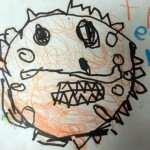 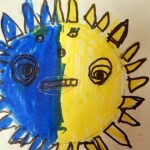 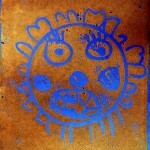 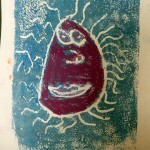 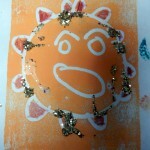 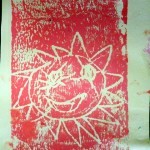 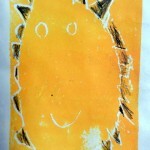 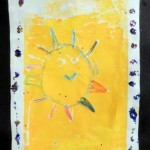 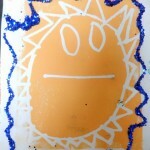 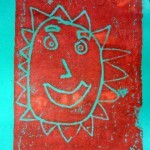 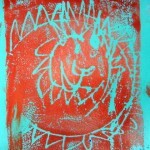 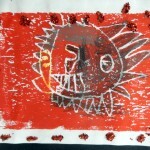 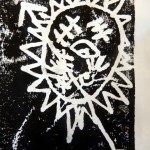 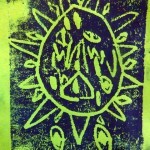 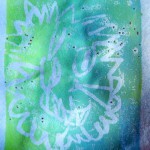 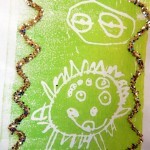 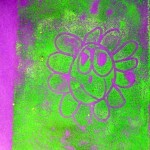 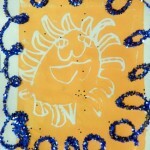 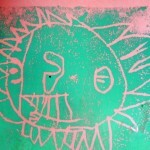 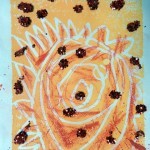 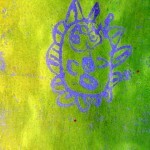 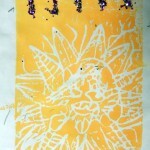 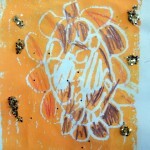 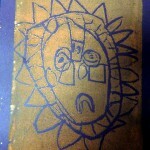 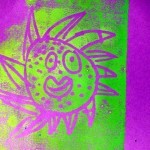 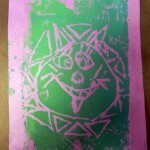 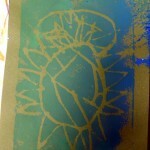 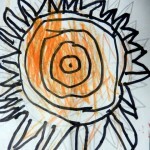 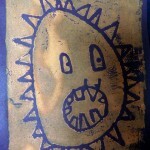 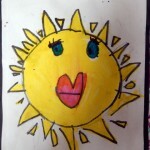 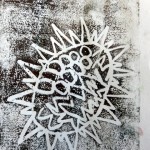 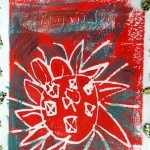 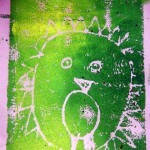 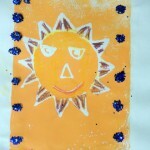 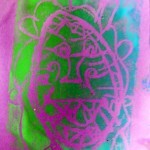 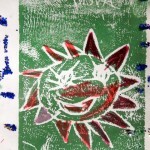 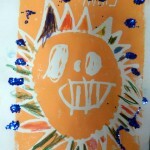 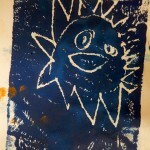 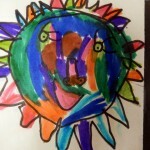 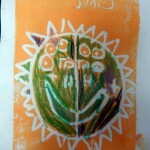 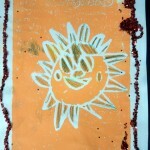 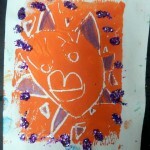 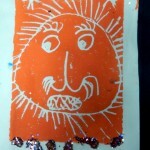 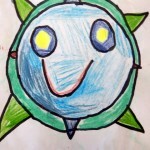 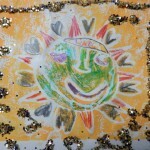 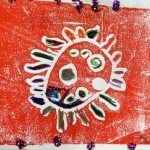 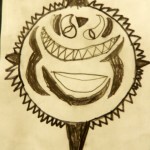 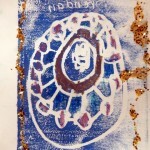 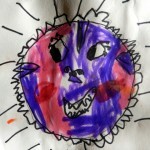 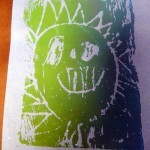 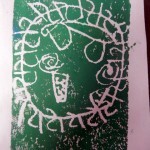 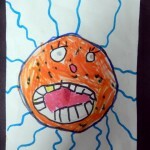 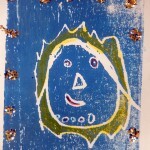 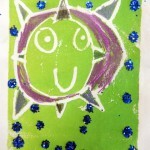 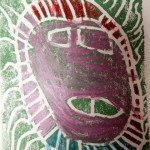 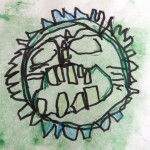 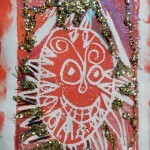 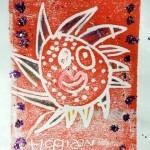 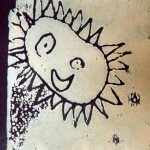 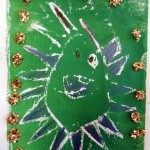 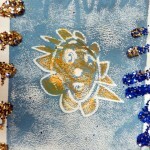 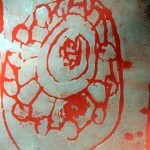 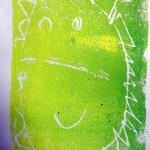 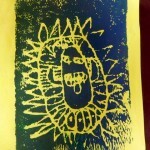 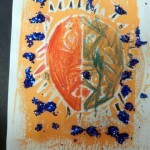 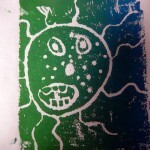 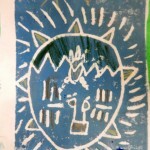 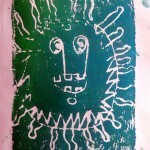 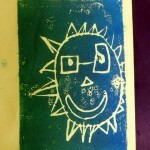 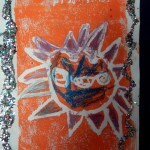 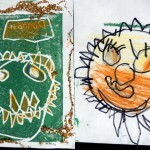 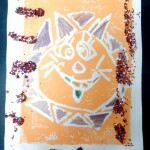 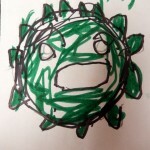 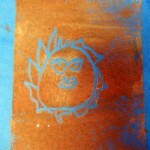 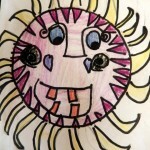 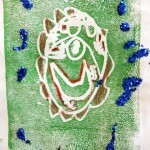 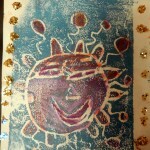 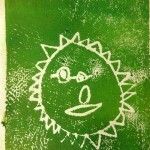 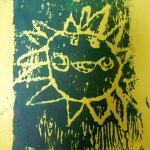 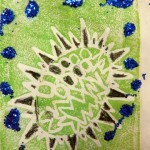 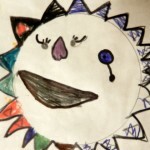 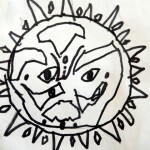 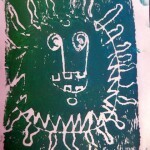 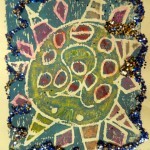 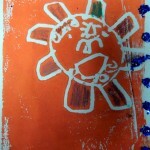 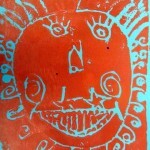 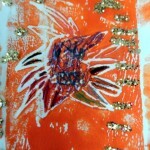 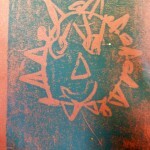 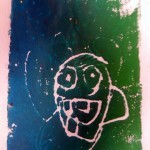 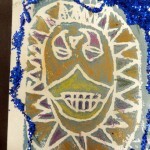 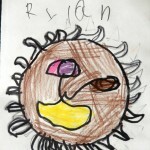 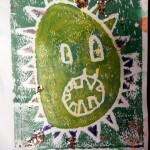 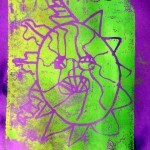 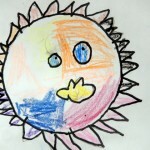 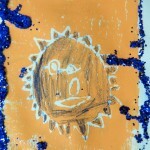 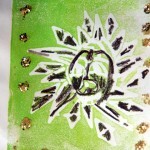 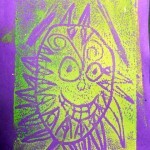 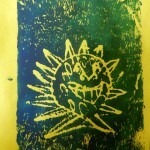 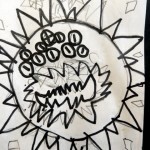 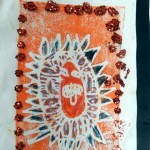 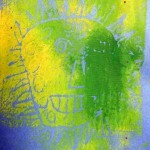 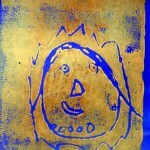 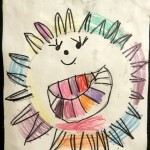 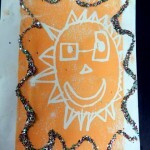 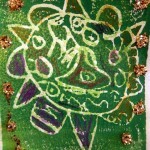 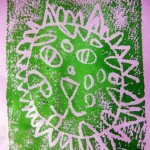 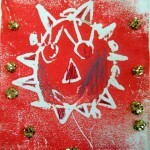 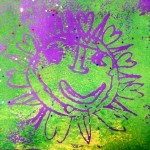 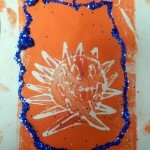 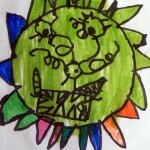 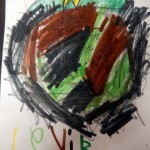 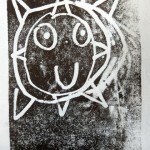 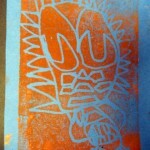 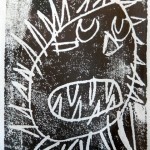 Then they created three different suns that used symmetry – one drawn by hand, the others using printmaking.